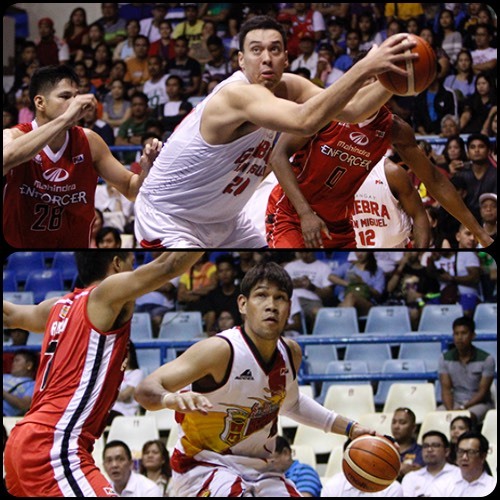 The PBA's two top big men, Greg Slaughter and June Mar Fajardo, helped their respective teams earn wins tonight. The 2016 PBA Commissioner’s Cup saw sister teams San Miguel Beer and Bgy. Ginebra notch big wins at the expense of the Elite and the Enforcers respectively. The San Miguel Beermen cruised to a second consecutive win in the 2016 Oppo PBA Commissioner’s Cup after routing Blackwater, 108-96, on Wednesday at the Ynares Center in Antipolo. 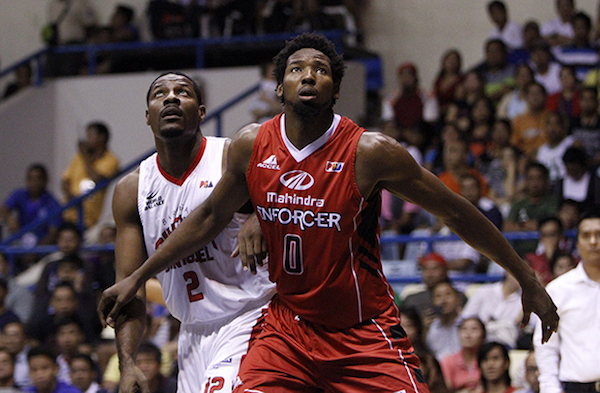 Import Tyler Wilkerson had 35 points, 17 rebounds, and 4 blocks in a strong showing, while June Mar Fajardo added 20 points to pace San Miguel. Alex Cabagnot came off the bench to score 13 points, while Marcio Lassiter added 11 to help the Beermen’s cause. 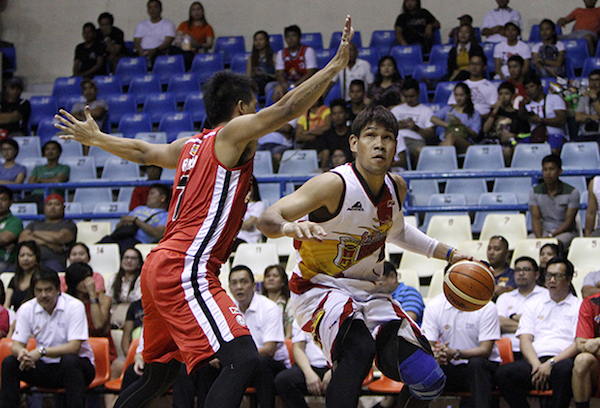 June Mar Fajardo makes JP Erram work. MJ Rhett's up-and-down play continues for the Elite. 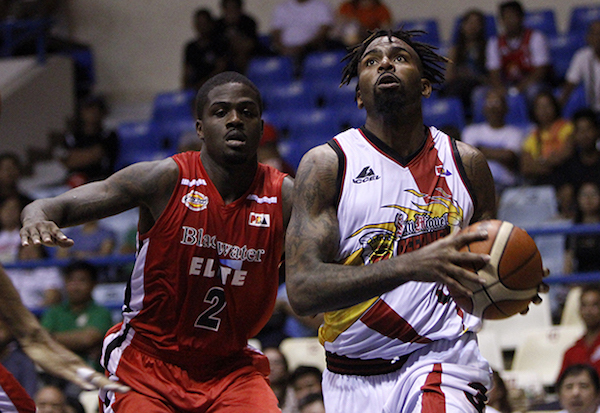 Tyler Wilkerson impressed anew for the Beermen. San Miguel, the Philippine Cup champion, is now 2-1 for the conference after following their 120-109 win over GlobalPort last Friday with another victory in this one. Carlo Lastimosa and JP Erram each had 16 to lead Blackwater, which only got 12 points and 14 rebounds from import MJ Rhett. The Elite dropped to 2-3. Tyler Wilkerson (SMB) - 35pts, 17rebs, 1ast, 4blks, 4 triples. 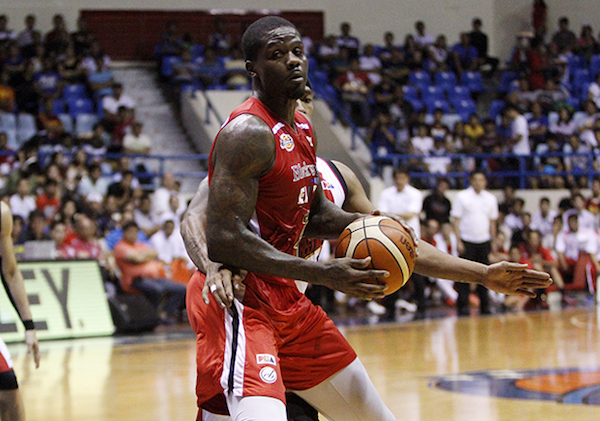 MJ Rhett (BLA) - 12pts, 14rebs, 3asts, 1blk. The Barangay Ginebra San Miguel Kings kept their winning run going, defeating Mahindra, 104-86, to notch a third consecutive victory in the 2016 Oppo PBA Commissioner’s Cup on Wednesday at the Ynares Center in Antipolo. Othyus Jeffers had 24 points, 13 rebounds, and 7 assists, while point guard LA Tenorio also had a well-rounded statline with 15 points, 6 rebounds, and 7 assists to lead Ginebra in the win. Augustus Gilchrist gets in position to box Othyus Jeffers out. 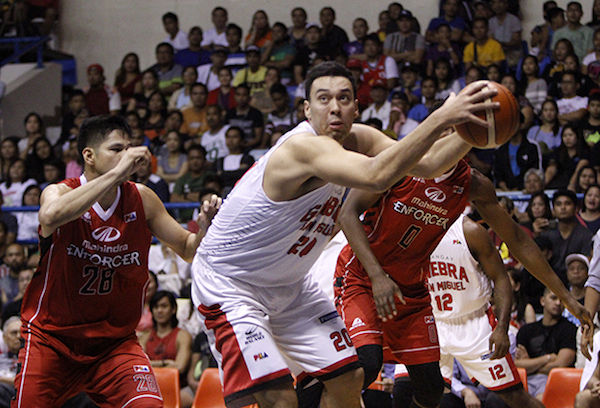 Greg Slaughter tries a power move to the basket. 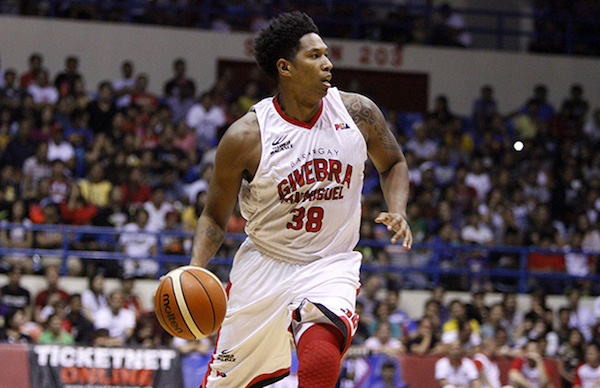 Joe Devance gave Ginebra a lift with a dozen points. Both of the Kings’ twin towers finished with double-doubles as Japeth Aguilar had 14 points and 11 rebounds and Greg Slaughter had 12 and 10. 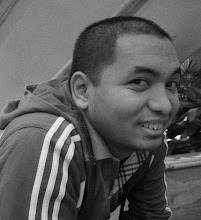 Joe Devance also gave the team a lift with 12 markers. Ginebra, which lost their first two games of the conference, is now above .500 as it climbed to 3-2. Mahindra is also at 3-2 after the loss. The Enforcers were paced by KG Canaleta’s 22 points, while Augustus Gilchrist added 18 markers. Othyus Jeffers (GIN) - 24pts, 13rebs, 7asts, 10/14 FGs. Augustus Gilchrist (MAH) - 18pts, 13rebs, 1ast, 2stls, 1blk.